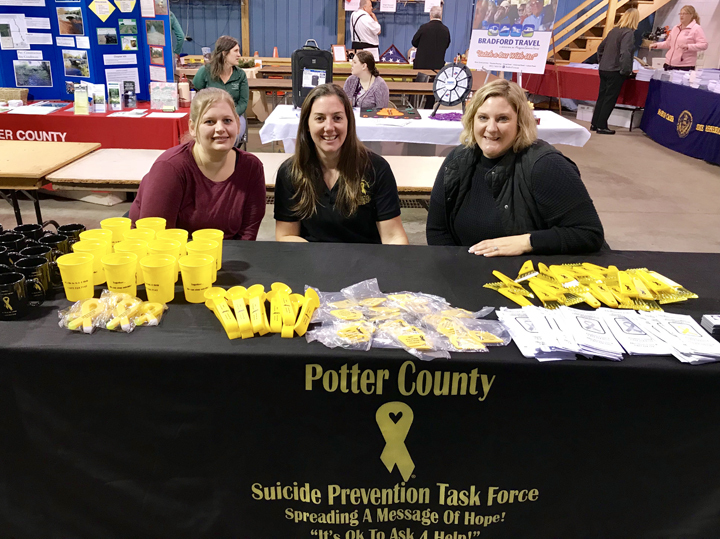 DCI Spreads Suicide Prevention to Senior Citizens in Potter County — Dickinson Center, Inc.
Dickinson Center's Potter County Student Assistance Program (SAP) and the Potter County Suicide Prevention Task Force attended the Senior Citizen Expo in Roulette on Friday, October 12, 2018. Suicide prevention materials and give-a-ways were handed out to provide crisis information and the hotline phone number. A large number of senior citizens from Potter and McKean counties participated in this event. The ongoing support to promote suicide prevention among the community continues to benefit our cause and encourages everyone to ask for help when it is needed. Thanks to everyone who attended our booth.